The bread and butter work of Great Bear Analogue and Digital Media is to migrate analogue and digital magnetic tape to digital files, but recently we were asked by a customer to transfer a digital file to ¼ analogue tape. The customer was concerned about the longevity of electronic digital formats, and wanted to transfer his most valued recordings to a tangible format he knew and trust. Transferring from digital to analogue was certainly more expensive: the blank tape media cost over £50 alone. In a world where digital technology seems pervasive, remaining so attached to analogue media may appear surprising. Yet the resilience of tape as a recorded medium is far greater than is widely understood. 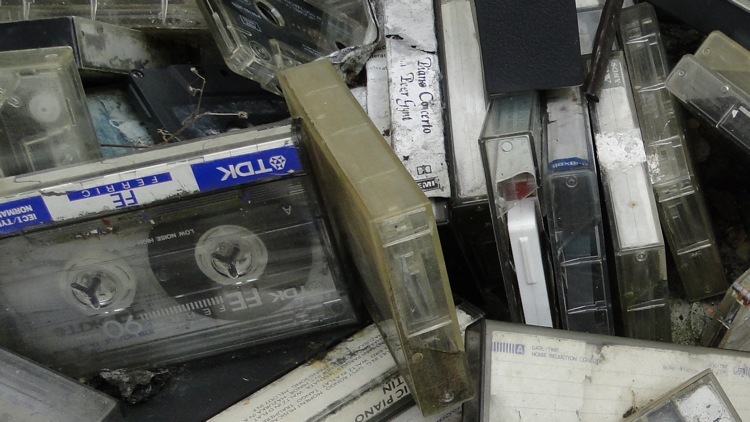 Take this collection of old tapes that are in the back yard of the Great Bear office. Fear not customers, this is not what happens to your tapes when you send them to us! They are a collection of test tapes that live outside all year round without shelter from the elements. We use them to test ways of treating degraded tapes because we don’t want to take unnecessary risks with our customer’s material. Despite being subject to pretty harsh conditions, the majority of material on these tapes is recoverable to some degree. 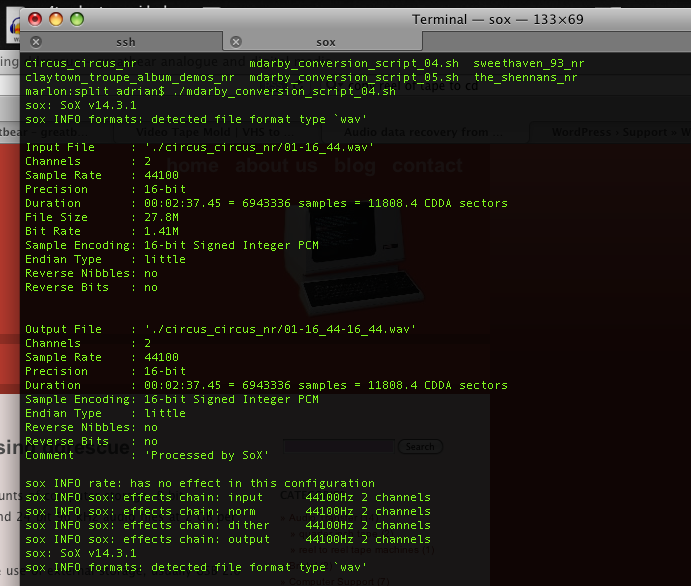 Would digital data stored on a hard drive survive if it had to endure similar conditions? It is far less likely. Due to its electronic composition digital data is fragile in comparison with analogue magnetic tape. This is also the ironic conclusion of Side by Side (2012), the documentary film narrated by Keanu Reeves which explores the impact of digital technology on the film industry. Requests for digital to analogue transfers are fairly rare at Great Bear, but we are happy to do them should the need arise! And don’t forget to back up your digital files in at least three different locations to ensure it is safe. In today’s digital society most people have an archive. On personal computers, tablets and mobile devices we store, create and share vast amounts of information. We use archives to tell others about our lives, and the things that are important to us. Gone are the days when archives were dusty, dark places where experts went to research esoteric knowledge. Archives are everywhere. They are dynamic, digital and personal, as well as being institutional, historical, corporate and civic. The creation of personal archives is of course nothing new, but the digital age forces us to have a far more intimate relationship with information, and its organisation. Put simply, there is loads more information, and if it isn’t collected in a systematic way you may well drown in a sea of your own, not to mention everybody else’s, data. Maybe this is happening to you right now! If so, you need to embrace the archival moment and get your own collections in shape. Part of this everyday information management is migrating archives stored on obsolete formats, such as the many different types of analogue and digital magnetic tape we work with at Great Bear. 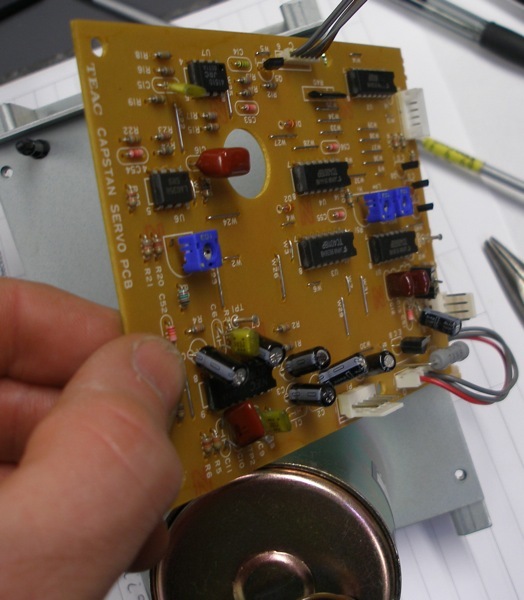 Digitising tape gives it new life, allowing it to be easily circulated, shared and used with today’s technologies. A significant amount of the Great Bear’s work involves digitising the diverse collections people produce in their everyday working, creative and social lives. Here are two recent digitisation projects which are a good example of our work. 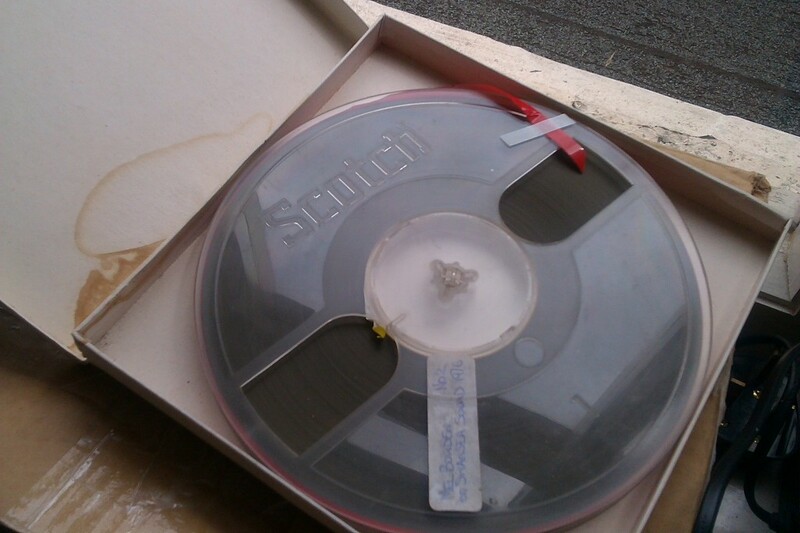 We were sent a number of ¼ inch reel to reel Scotch 3M tape ‘made for the BBC’ tape, recorded at the rate of 7 ½ inches per second from local radio station Swansea Sound in 1976. The tapes were all in good condition, although the boxes had some evidence of water damage. 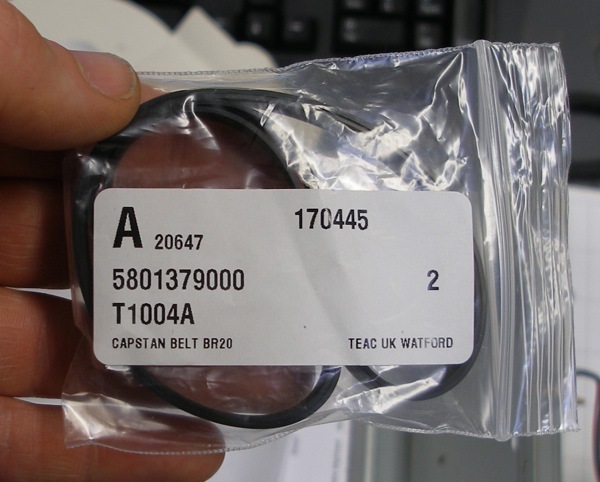 Over time the tension in the tape pack had also changed, so they required careful re-spooling before being played. 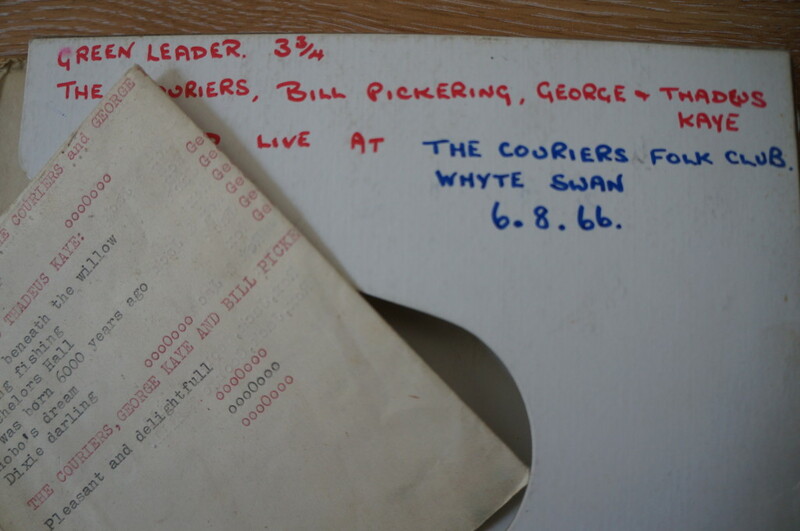 The recordings were fascinating to digitise because they communicated how little the format of radio programmes have changed since the late 1970s. Jingles, news reports, chat and music were all part of the show, and anyone familiar with BBC Radio 2 would certainly enjoy the recordings, that still seem to be played every Saturday morning! Another collection was sent to us from Brian Pimm-Smith. Brian enthusiastically documented his life and work activities using a Uher open reel portable tape recorder which he acquired in 1963. The box included many ¼ inch tapes that could record up to 10 minutes at 3 and ¾ inches per second. These tapes could also record up to 4 mono tracks at 10 minutes each, allowing for storage of up to forty minutes at a time. 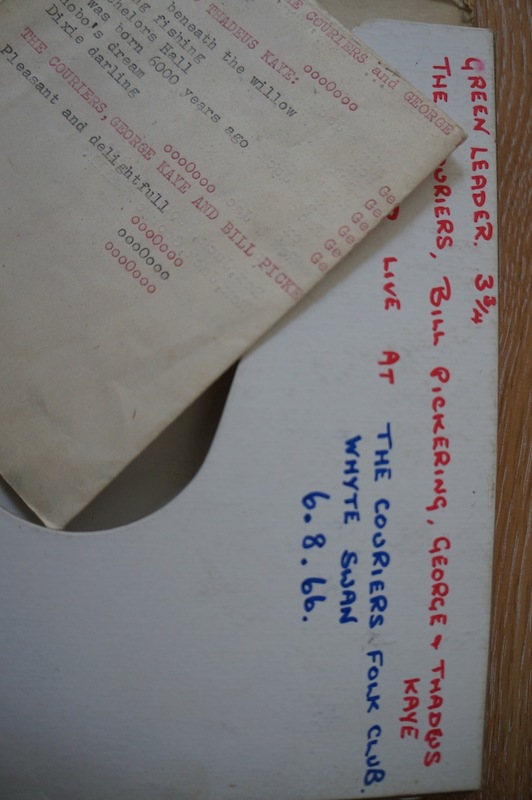 The main bulk of the collection is a series of spoken letters sent to and from Pimm-Smith and his parents, who between them lived in Britain, Pakistan, Rhodesia (now Zimbabwe), Japan and Saudi-Arabia, but it also includes recordings of when Brian worked taking weather measurements for the British Antarctic Survey. 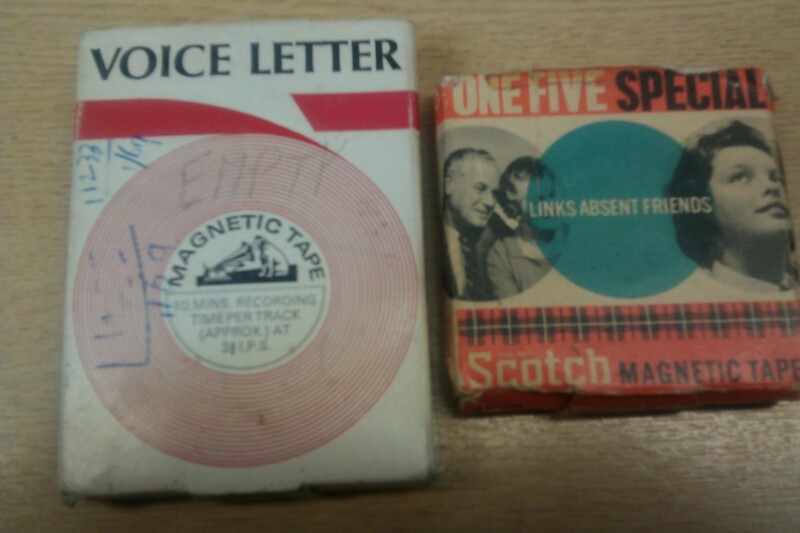 Some of the 1/4 inch tapes were marketed by companies such as Scotch and EMI specifically to be used as ‘voice letters’ that ‘links absent friends’. Despite this Pimm-Smith said that making such recordings was pretty rare, something ‘quite out there’ for most people. Brian’s mother nonetheless embraced the activity, as they shared correspondence back and forth between wherever they lived at the time. 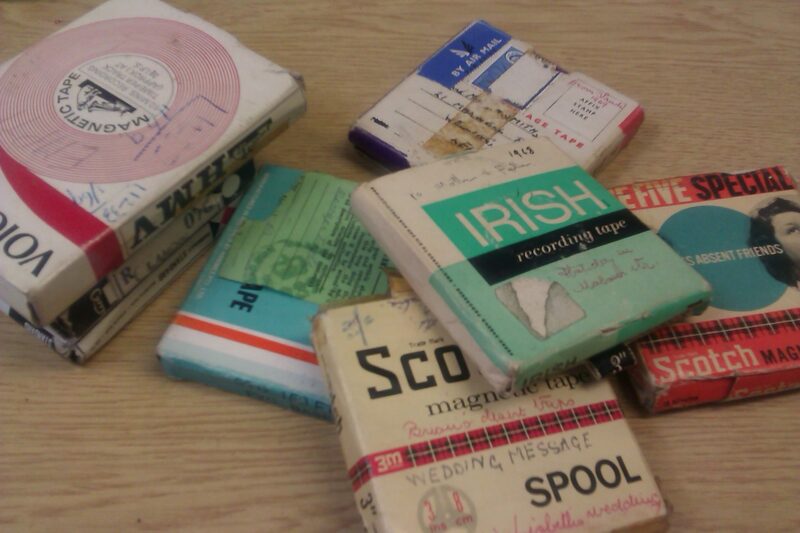 The 1/4 inch tape boxes in themselves are a colourful record of international postage in the late 1960s. 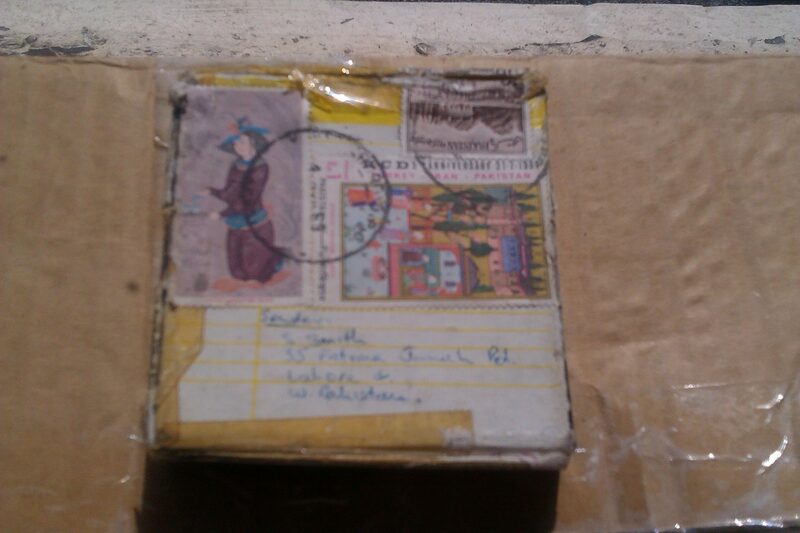 Sent from Pakistan, Rhodesia (now Zimbabwe), Saudi Arabia, Australia and Japan, the small boxes are plastered with stamps. The boxes were reinforced with sellotape to ensure the contents didn’t fall out (which is still stuck fast to the boxes, by the way, clearly demonstrating the surprising longevity of some forms of sticky tape). Pimm-Smith’s tapes are fascinating objects in themselves that bear the marks of travel through space in the form of postal stamp marks, and time, as they sit on the desk now in the Great Bear Studio. Perhaps the most exciting and unique recording Brian has kept is the audio diary of his trip through the Sahara desert. For the trip Brian drove an early 70s Range Rover which had a cassette player-recorder, a technological device only available in Africa which used audio cassette tapes. This enabled him to document his impressions as he drove along. Brian describes how he had taken a portable typewriter with the intention of keeping a written diary, but he used the tape recorder because it was more ‘immediate.’ On hearing the digitised tapes Brian was amazed at how clear the recordings sound today, particularly because he was driving at the same time and there was likely to be background noise. You can hear the hum of the car engine in the extract below, but the voice is still clearly very audible. The stories Swansea Sound radio and Pimm-Smith’s collection tell are part of wider social histories. They tell us about communities and places, as well as the continuities of style in broadcast radio. They tell us how people used analogue tape recordings to document personal adventures and communicate with families who lived in different countries. Both tapes are examples of the sheer diversity of personal, magnetic tape based archives that people have been keeping for years, and which we digitise at the Great Bear. Brian Pimm-Smith contacted Great Bear because he wanted to make his tapes accessible, and preserve them for future use. He is hoping one day to write a book from his many adventures and these recordings can now remind him not only of what he did, but how he felt in the moment he made them. 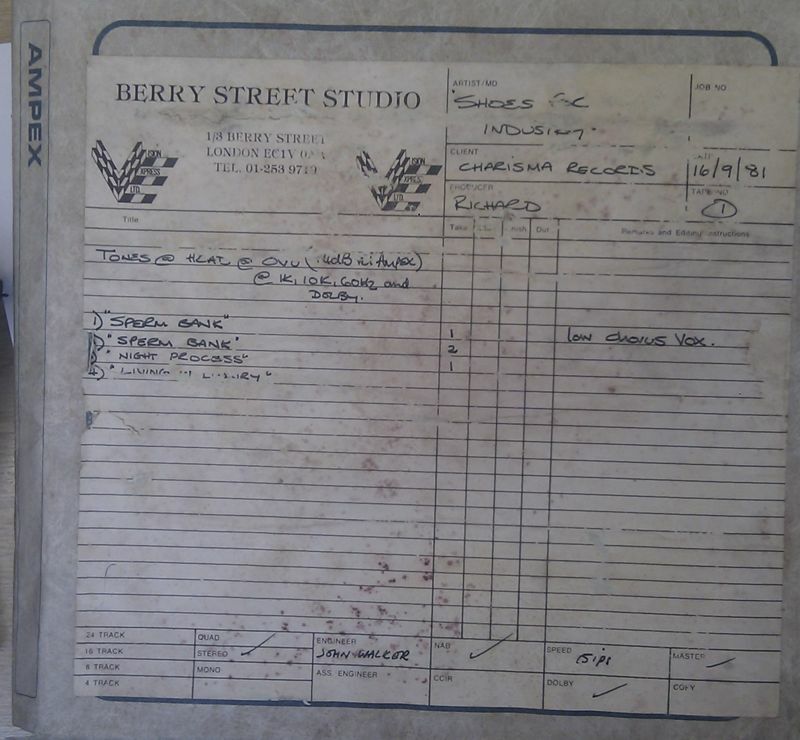 In amongst a batch of very mouldy quarter inch master tapes we were recently asked to look at was this unreleased recording by Shoes for Industry, the Bristol band on Fried Egg Records. Like much late 1970’s and 80’s studio recordings, this was recorded on Ampex branded tape that suffers badly from binder hydrolysis or ‘sticky shed syndrome’ that must be addressed before the tape can be successfully played and digitised. This was in addition to the mould growth that was evident on the tape pack edges, and cardboard box. 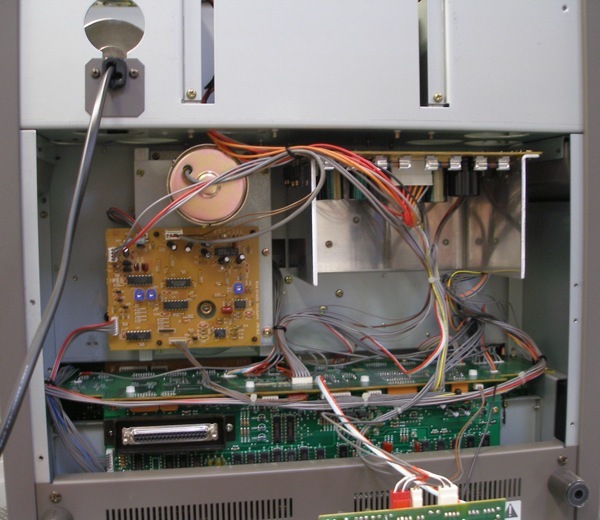 Storage in damp conditions and high humidity causes this type of mould and increases the breakdown of magnetic tape generally, sometimes to the point where de-lamination occurs, that is, the binder breaks away from the polyester structure of the tape. When this happens, which is luckily quite rarely, the magnetic information is damaged and mostly lost beyond repair. Thankfully this tape, whilst it looked in poor condition was relatively straightforward to restore but time consuming. Careful hand winding, and mould cleaning is necessary as is awareness of the potential health effects of some mould spores so good ventilation and protective masks are necessary. We were contacted recently by Jack Hawkins, the renowned arranger and band leader to consult on and digitize personal quarter inch open reel recordings of his band. In case you don’t know, The Jack Hawkins band are probably best known for their performance of the track 30-60-90 made famous in a club sequence in the 1971 film Get Carter starring Michael Caine. The capstan drive tape recorder is (or was) very common and was used in a huge range of cassette tape audio, video and open reel machines from cheap domestic to very expensive broadcast tape machines. Occasionally we receive quarter inch tapes, always be on small 3 inch spools, that reproduce on our capstan drive machines with terrible speed variation. They start off very fast then gradually slow down over the duration of the recording to around normal speed. These reels must have been recorded on rim drive machines. These type of open reel tape recorders didn’t use a capstan and pinch roller to save space and more often cost. As there is no capstan, as the supply reel gets smaller the tape recording speed increases. When replayed on a rim drive machine the speed, while not likely to be ‘Studer stable’ will be pretty stable and the recording sound OK.
It’s not feasible or desirable for us to own unlimited machines of all types due to the time to service and repair them, find parts and storage space therefore we use a small range of carefully picked high quality tape machines that with care can replay most tapes, speeds and track formats. 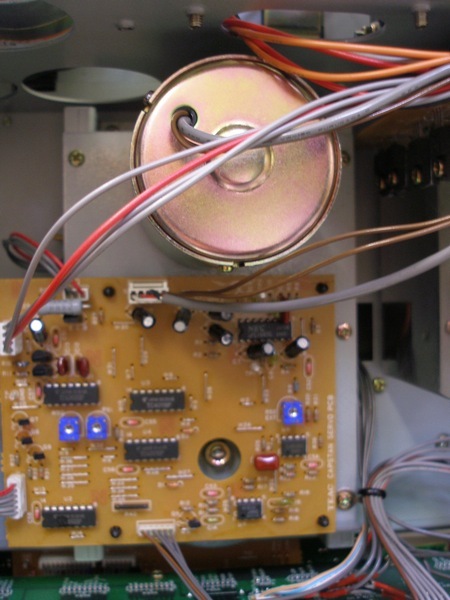 This is the problem with rim drive recordings and an analogue or digital solution must be found. 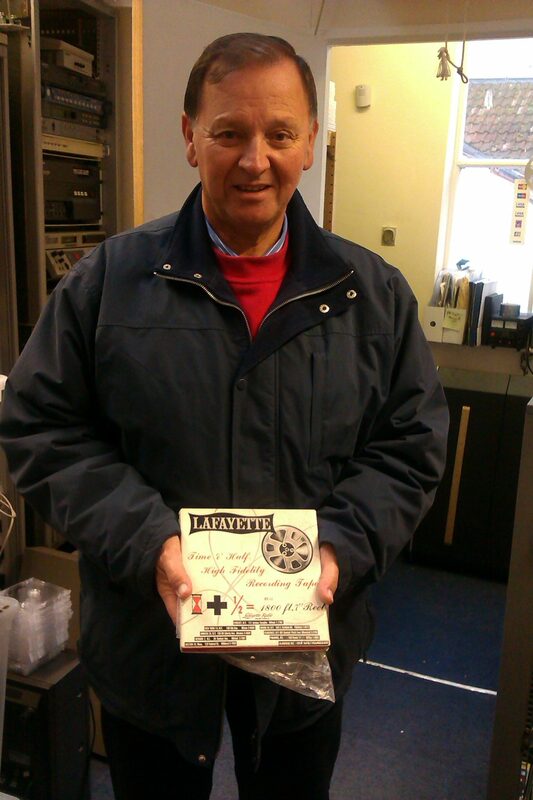 The tapes we received were 15 reels of family recordings from the Welsh Valleys. Others apparently had tried to transfer these tapes but gave up finding no material. 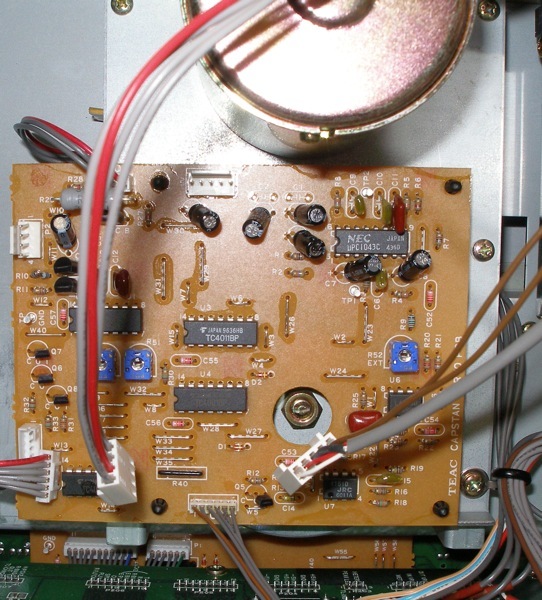 This was easily solved as the tapes were wound the opposite way to normal so the oxide was facing out not in. This is the same as in audio cassettes. The original tape machine must have had it’s heads in a similar position to a cassette machine. You are currently browsing the archives for the quarter inch tape category.